Amazon is coming to town, and a lot of people are excited. Excited about the massive new “fulfillment center” being built near the airport. Excited about a potential ripple effect on economic growth. Excited about the 1,500 jobs it plans to bring, which will make it one of the county’s largest employers. But it might be worth pausing the celebration for a moment to take a look at what the Amazon effect actually is, when it comes to jobs. Economists have studied the impact of Amazon warehouses when they come into a community, and there are two large takeaways: The unemployment rate goes down, and sometimes way down. And wages paid in all local warehouses go down, and sometimes way down. Now, we’re not so flush with jobs here – and particularly decent, benefits-paying jobs for unskilled workers – that we can turn our noses up at these. I’m surely not suggesting that. But when we talk about Amazon, and what it’s going to mean for the community, we shouldn’t forget to pay attention to workers. There’s reason to think it’s not all unqualified good. The company says the jobs pay well and have good benefits and often compares the salaries to other retail jobs. An analysis by the Progressive Policy Institute that found Amazon jobs paid 31 percent more than brick-and-mortar retail jobs. 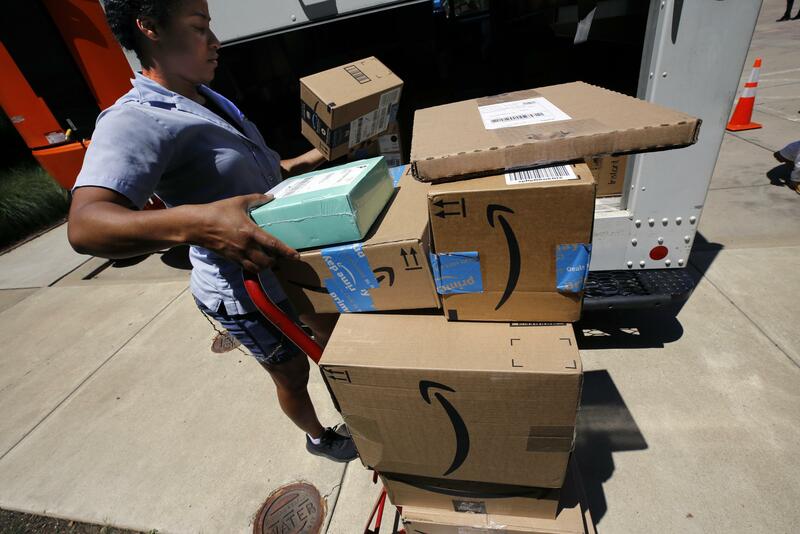 While Amazon has not said what local wages would be in Spokane, a report in the Economist magazine cited federal statistics showing an average wage of $41,000 for warehouse workers in counties with Amazon distribution centers. While such a wage might tower over retail wages, Amazon tends to drive down paychecks among warehouse workers – forklift drivers and order fillers and the like. An analysis by the Economist magazine, published in January, showed that Amazon exerts a downward pressure on the warehouse wages throughout communities. This is separate from questions about working conditions inside the warehouses. Stories of intensely harrowing working conditions at the warehouses have leaked out steadily in recent years, and they do not make the company sound like a fun place to work – intense pressure, physically demanding work, a lack of bathroom breaks, etc. But on the wage question, the magazine took a closer look at several specific communities. In Lexington County, Amazon announced it was building a new distribution center in 2010. The result has been an unemployment rate that plummeted, with thousands of people working at the center. In that same time, annual earnings for warehouse workers in the county – at Amazon and elsewhere – have fallen from $47,000 to $32,000, the magazine reported. That’s a drop of more than 30 percent. In Chesterfield, Virginia, warehouse wages fell by 17 percent. In Tracy, California, they dropped 16 percent. It also cited a wide range of statistics showing the company’s positive effect on communities, ranging from the company’s quarter-million employees to evidence that the company contributes robustly to non-Amazon employment as well, from the construction to health care sectors. There’s every reason to think we’ll see that ripple effect here, too. And every reason to think that the thousands of people in Spokane who are now looking for work will find it there – and find bigger paychecks than they might elsewhere in town. But if we act like the story ends right there, we’re only considering the surface of the Amazon Effect.